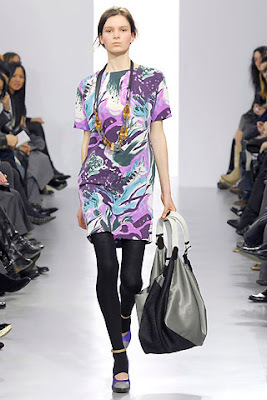 If you want to look quirky cool, then Marni is perfect for you! This is for the girl who doesn't want to look like a cookie cutter image of every "Girl-who-wants-to-look-like-an-It girl", because "She's-got-her-own-style", baby! 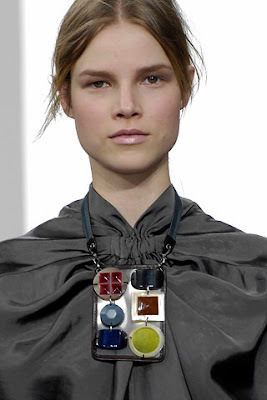 I've said this before but I'll say this again, its all about the accessories here at Marni. Her tights partially expose the feet, her belts this season are garisson belts, but with an expensive quality to it, her shoes are fantastic, and the necklaces are fun and artsy!!! 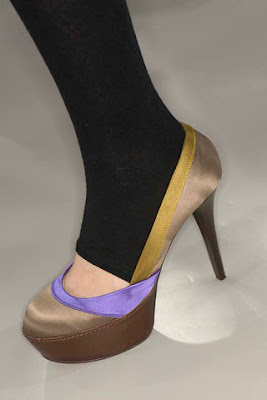 Put these together with the stunningly simple clothes, and you've got a winning look right there! Eccentric! 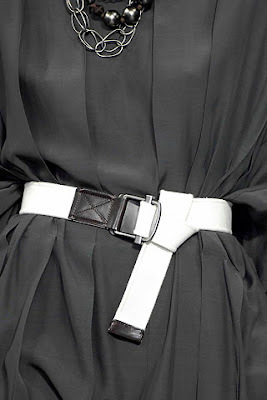 Very Marni... Love them all!!! Me too! Love it! Love it! Love it!! !